The Flex series is designed specifically for church security teams and personal protection details in mind when designing it. This system is modular and allows you to configure the rig the way you want it. 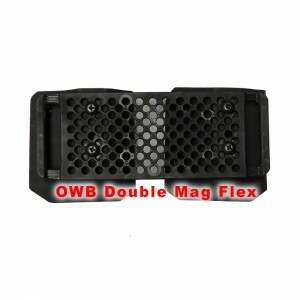 Let’s say that you order the mag and light combination but down the road you want to switch it out for a radio carrier. No worries, all you need to do is to order the radio holster and attach it to the rig. You might be saying to yourself… “Well now I am stuck with a light carrier that I cannot use”. WRONG! All you need to do is to order the light mount and you can now use your light carrier and carry it wherever you want along your waistline. 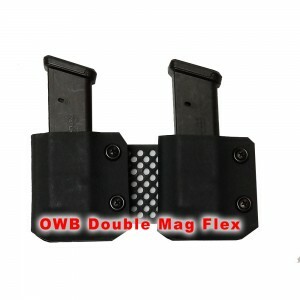 Likewise, if you remove your mag pouch, all you need to do is to order the mag mount and you are all set. 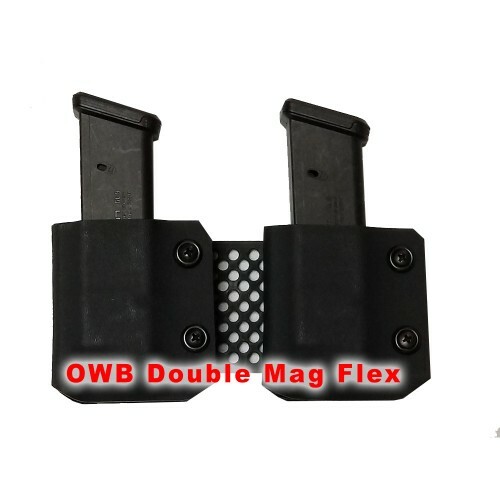 We can tell you from personal experience that this flex system is THE most comfortable way to wear your security accessories OWB. Lead times are typically 7-10 business days or less! 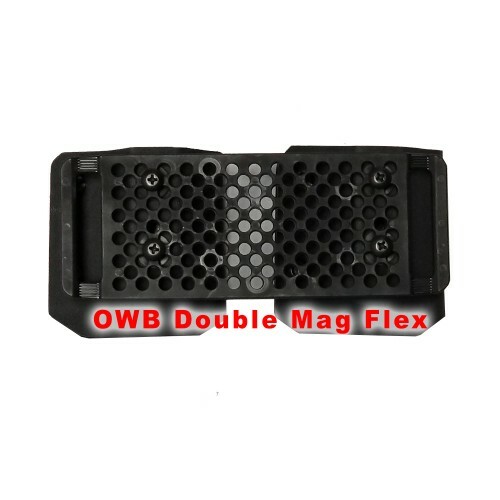 While many of you may not know who we are, we have been making quality custom kydex products for about five years. 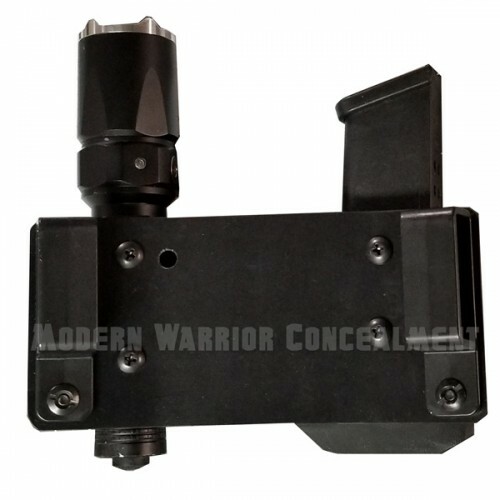 Brian K. LaMaster, Vice President of Modern Warrior Concealment, worked for Dave Canterbury’s retail store Self Reliance Outfitters (SRO) in Indianapolis, IN for four years. Dave was Co-Host of Dual Survival and Dirty Rotten Survival TV shows. In addition, Mr. Canterbury runs one of the top survival schools (Pathfinder School) in the nation. Brian was the mastermind behind all of the kydex products that SRO sold. He has made thousands of knife sheaths, holsters, and other accessories. What this means to you is that you can count on what you order being quality and not some fly-by-night operation. We stand behind our products 100% and that is why we offer a NO QUESTIONS AKSED LIFETIME WARRANTY! Futhermore, Mr. LaMaster is a CCW instructor and a leading authority on church security training in the nation. We will never sell anything that we feel is unsafe, or create something for the sake of just coming up with something to make money. All of our products designs are purpose driven. Yes, we use our own products. 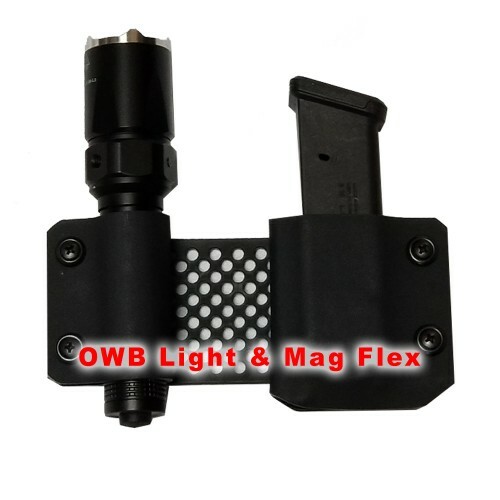 In fact, several of the products we make are a result of our personal carry needs, as well as those of church security team and personal protection details. I purchased one of these last week and I love this setup. I like the versatility in this rig and I have nothing but good things to say about the product. I will be telling my friends about this! Flex System Belt Size --- Please Select --- 1.5" 1.75"
Light Tube Size --- Please Select --- 3/4" 1"
Light Tube Size 2 --- Please Select --- 3/4" 1"